When I was first introduced to live chat tools, I naïvely saw them as just another tool for customer support. And don’t get me wrong, live chat has proven to be extremely effective for customer support – but I seriously overlooked the potential of live chat as sales a channel. In under 30 minutes I was qualified, demo’d and sold! I was exploring options for a marketing automation tool, weighing up the pros and cons and basically getting nowhere. I knew my requirements, but each tool had different pricing and feature options and I was wasting time scrolling through pricing pages and setting up demos. One of tools had live chat on their site – in seconds their sales rep confirmed that they had all the features I needed, within my budget and jumped on a call immediately to show me a brief demo of the tool. In under 30 minutes I was qualified, demo’d and sold! Now, not every customer knows exactly what they want, like I did, but the experience converted me to seeing live chat as a sales channel. With this change of heart, and with our focus on helping businesses convert customers using live chat, I thought I’d share some of the aspects that make live chat an efficient lead generation channel, as well as some hints and tips for how to have effective conversations. Hopefully this article will open up a whole new channel for your sales team! Why bother with live chat for sales? Live chat can seem like a daunting challenge to set up and operate within any team. But the benefits are huge – here’s just a few reasons why live chat can be a massive help for sales teams. 89% of customers want to be able to message a company directly and 64% of customers would prefer to message a company than chat on the phone. And if that’s not enough, think of your own experiences – when you want to to get information and answers quickly, how do you go about it? If it’s your friends and family, your messaging them on WhatsApp. 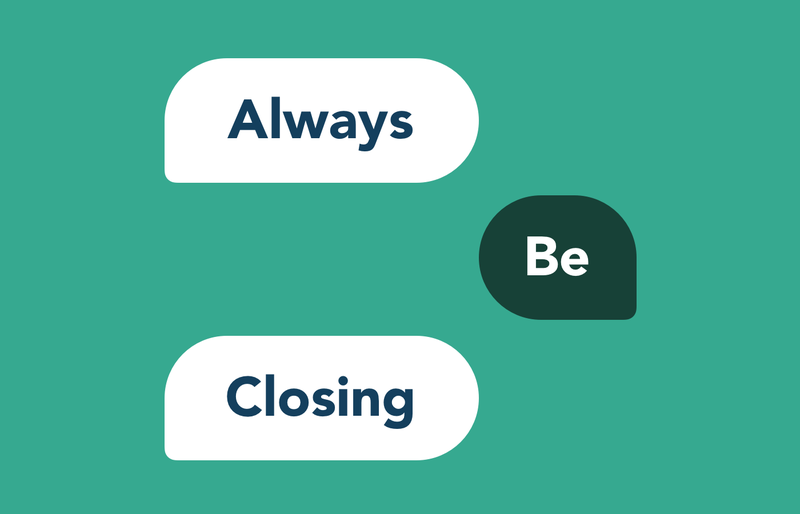 If it’s your team at work, it’s Slack or other instant messaging tools. So why would it not be the same from the people you’re looking to buy from? As sales reps, we typically think about prospecting as our hunting instinct. How can we find more great customers who would benefit from our product? Cold outreach, chasing inbound leads, all to fill the top of our funnel because every lead counts. Live chat is always-on prospecting. When your ideal customer is on your site, live chat tools can engage them with the right personalised message, in the right context at the right time. The conversation can start immediately when you’re available. If you’re not around, you can still be building up a bank of leads to get back to in an already ongoing conversation. With live chat, you can reduce the number of hoops your customers have to get through to purchase. We all know that time is precious, so if you can qualify a lead through a live chat conversation you don’t get stuck scheduling back and forth over email. You’ll save your prospects and your reps tons of valuable time. This also means the first time a prospect speaks with a rep, the demo conversation can be immediately actionable – both sides get value straight away. Especially important in the earlier stages of building a company – you’re likely still figuring out the best way to pitch, price, and sell your product. By breaking down the barriers between your visitors and your team, live chat can enable you to learn a lot more about how to sell what you’re building – which can drive future changes and adaptations in messaging and product development. Resorting to email conversations inevitably reduces the amount of learning you can gain from your customers. I’ll be honest, it took me a little while to get used to navigating sales conversations through live chat. Compared to a face-to-face meeting or call, it’s hard to establish rapport and trust without the nuances in someone’s voice or facial expressions. It’s also difficult to really dig deep into customer pain points when the conversation is being typed. But live chat is so much more powerful as a medium – and when used correctly, can be dramatically more effective too. This comes naturally in a face-to-face or phone conversation but it’s important to make a conscious effort to bring your personality across in a live chat conversation. Customers want to buy from real people so injecting your brand values into your live chat conversations – in the same way you do for marketing materials – is a huge win. Allow yourself to drop the formal structure of email and adopt a more fluid flow. There’s no need to sign off, include signatures or have everything in the one message. The best way to think of live chat is how you would have conversations with a friend in WhatsApp or other friend-to-friend messenger tools. That being said, don’t be afraid to share information you would include in a follow up email over live chat, like links to a sales deck, a blog post or a trial signup page. Your prospects are giving you their utmost attention at the moment, so make the most of it! Most sales reps will prepare for a call beforehand. With live chat it’s harder to have that luxury. But understanding and leveraging the content your prospect has been browsing on your site can help you understand what they’re interested in and ask more insightful questions. We’ve found combining behavioural data with your conversations on the fly is the key to optimising conversion – hence why we’re putting so much work into this key area at GoSquared. Some complicated or sensitive conversations can sometimes get bogged down or lost in live chat. At other times, customers will want to have an email as a backup or record of a conversation. Never be afraid to suggest jumping on a call or pinging a summary email over when on live chat. Finding the right medium for the job at hand is what matters most! With live chat you need to always consider the person on the other side. Often a visitor is expecting an immediate response when they send you a message. “Out-of-office” features for sending automatic replies when you’re not around. Lead capture to capture an email address for when visitors message you. And as we all know, timing is everything when it comes to sales – so always optimise for the fastest response time! Hopefully this guide has given you the ammunition you need to try using live chat for sales in your own business. If you’re still not sure about using live chat for sales, we want to hear about it – what’s holding you or your manager back? Tell us about it – via live chat (of course), or via Twitter!